ALL.BIZ Canada Canada products Building materials Floors and ceilings Floor coatings Parquet and floor board Products. Cherry Hardwood. Add the beauty of Cherry Hardwood to your area! 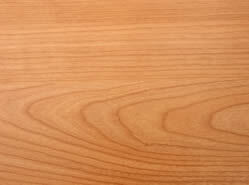 Hardwood Wholesalers Inc. has made it possible to put Natural Cherry in your home for a similar cost to Oak. Cherry is a hardwood that contains soft flowing grains and a warm reddish glow that will make any room more welcoming and comfortable.